Welcome to the Spanish Monarchy of King Philip II. This is Spain at the height of its imperial power in its Golden Era. Begin your travel with King Philip’s Majestic Palace that he occupied in the outskirts of Madrid, then you'll travel to stately San Lorenzo del Escorial, and tour King Philip’s private Monastery and Palace home to an impressive art and fresco collection that rivals the Vatican’s. 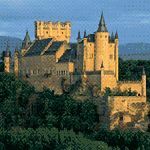 Your tour also takes you to three of Spain’s most important medieval cities: Avila surrounded by one of the best preserved roman walls in Europe, Salamanca home to one of Western World’s oldest and finest Universities, and Segovia home of the Alcazar, Spain’s most famous and enchanting medieval Castle. In Segovia you’ll also admire the largest and best preserved Roman Aqueducts in Europe. From Segovia, you’ll travel to historic Pedraza a jewel of a town north of the city, and on the outskirts of the city, you’ll visit the sumptuous La Granja de San Ildefonso, a magnificent 15th century Palace. Welcome to Castilla and La Mancha, the stomping grounds of Don Quijote and Sancho Panza, Spain’s celebrated literature characters. Your travels will take you off the beaten path to historic towns few tourists ever get to see. The very same settings Miguel de Cervantes chose for his great masterpiece back in 1605. Ironically he died a day before his contemporary, William Shakespeare, on April 22, 1616. Your tour will take you to Alcala de Henares, birthplace of Cervantes and home to one of Europe’s oldest Universities. Then it’s on to the spectacular hanging city of Cuenca, once the holiday residence of Royalty, today home to a large artist colony. Next stop Aranjuez. You’ll find out why it’s favored as a summer residence by Royalty from the 16th century to the present day. From there you’ll visit Medieval Chinchon, with its famed picturesque 15th century Plaza and Castle on the Hill. Your last stop will be medieval Toledo. Then end your trip where it began, in majestic Madrid. Your travels start in Extremadura, one of the most remote and unique regions of Spain and home of Conquistadores Hernan Cortes and Francisco Pizarro. Due the many Conquistadores that came out of this region, Extremadura left a very important imprint on the history of Spain and the Americas during the 16th century. You’ll stay in the 15th century former Castle, now a magnificent Parador in the medieval town of Oropesa, as well as other historic manors and palaces along the way. From there you’ll explore this beautiful forgotten land beyond the River Douro. You’ll feel like you just stepped through a time warp and into the Middle Ages when you wander through quaint cobbled streets leading to historic castles and manors. Your tour will also take you to the city of Caceres close to the Portuguese border, where you’ll also find yourself surrounded by 15th and 16th century Spain. Then go back even further in time when you visit one of the most important cities during the Roman occupation Mèrida, capital of the ancient Roman province of Lusitania, which controlled southwestern Spain and Portugal. Your travels will end in magnificent Toledo, Spain’s most important city in Spain for over 500 years. If you have only a week to visit Spain, then this seven-day adventure was designed for you. Your adventure will take you to progressive and sophisticated Barcelona, the “Paris of the South”. Historic and Futuristic Valencia, the First City of the New Millennium. And aristocratic, regal Madrid, the “proudest city on the Continent”. Three distinct regions of Spain: Cataluña, Valencia and Castilla. Three different peoples. Three styles of architecture and art. Three different cuisines. You’ll discover the rich diversity that is Spain in a single tour. If you have only a week to visit Spain, then this package is perfect for you, Sevilla, Madrid and Barcelona. Three distinct regions: Andalucía, Castilla and Cataluña. Three different people. One special package designed to let you experience the rich diversity that is Spain. This package introduces you to the three distinct faces of Spain. Each one so unlike the others, you’ll think you just traveled to three different countries. Aristocratic, regal Madrid, the “Proudest City in Spain”. Progressive, sophisticated Barcelona, the “Paris of the South”. And charming, vivacious Sevilla, the “Heart” of Andalucia. Three different cities. Three different peoples. Three different philosophies of life. This 7-day package gives you a comprehensive overview of each of these unique cities. You’ll see three distinctive styles of architecture and art, taste three different cuisines and discover the rich diversity that is Spain in a single tour. 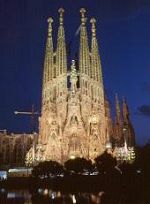 Self-Book Spain Day Tours | Self-Book Spain Hotels Here!